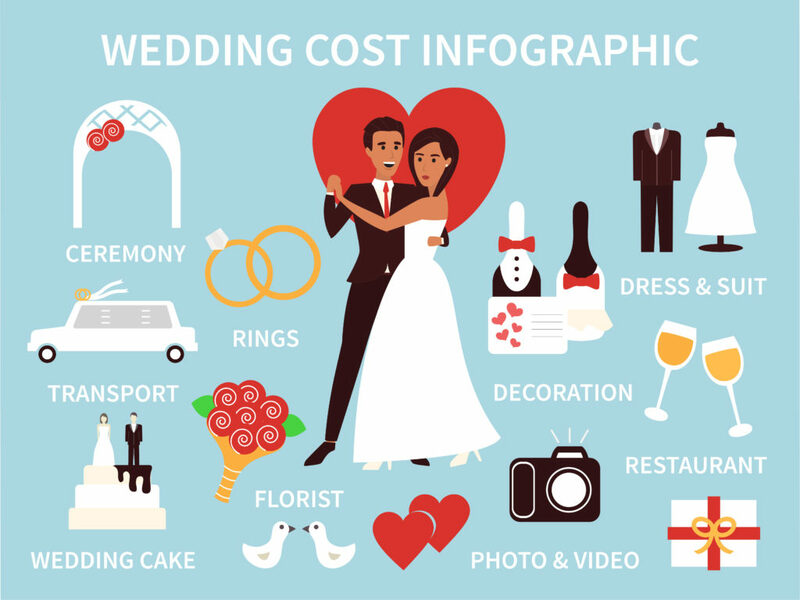 There are a lot of details that go into planning a wedding and boy, does it get expensive. Who would have thought that there were so many things to do and so many expenses that go into that? Well, let us help you design a method that can relieve some of the stress and leave you with an array of money options. Especially those who are trying to save a buck or two, don’t just go with the first person you come across, there are many different vendors and venues out there that won’t break the bank. Follow the three easy steps below to prepare for your big day without any stress! YES, research! This can be extremely daunting: where do you look? Who do you trust? However, we are in the day and age of technology, and people are not afraid to express their reviews over the internet. So head over to some of the top wedding sites and bridal shows and look for the venues and vendors in your area. Choose three to five vendors that appeal to you and jot down their information. Where are they from? How many reviews do they have? From there, Google them! Check out their social media sites and look at real people and real photos. Anyone can make a picture look good if it is done professionally, so look at people who have used them at their own wedding. Also, head over to an Elegant Bridal Productions show to get a first-hand experience. A bridal show is a perfect place to make conversation with top wedding vendors and venues, to taste their food, and to discuss ideas with other brides. The best part, the shows are free! This will allow you to narrow down your search to ensure that you have picked a trustworthy vendor for your big day. Now that you have narrowed down your search, it is time to start putting all of the information together. Make a spreadsheet that includes the venues and vendors of interest. 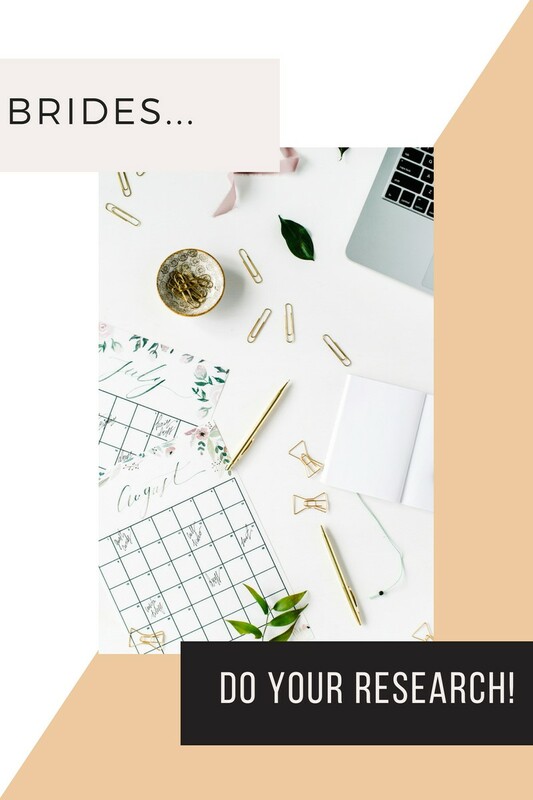 Spreadsheets should consist of, but not limited to various: venues, florists, makeup and hair artist, lightening companies, favor ideas, transportation, hotels, dessert companies, bridesmaid dresses and tux stores, etc. So many options… so much money! So gather your research, create a spreadsheet, and make sure you are getting the greatest bang for your buck! Now that you have narrowed down your search, start emailing and calling for quotes. It is better to email so that you have everything organized and in writing. Once you get a quote, be sure to transfer the information over to your handy-dandy spreadsheet. The spreadsheet will allow you to compare your options in order to choose the perfect fit for your big day. Keep in mind that some vendors charge extra for things like transportation, so do not leave anything out! All in all, planning your wedding should be fun and stress-free! You shouldn’t have to pay someone to do the research for you when everything is easily accessible! So hop on to your computer, head over to a bridal show, make a spreadsheet, and plan the wedding of your dreams without burning a hole in your pocket. Let a Honeyfund honeymoon registry make your wedding dreams come true. 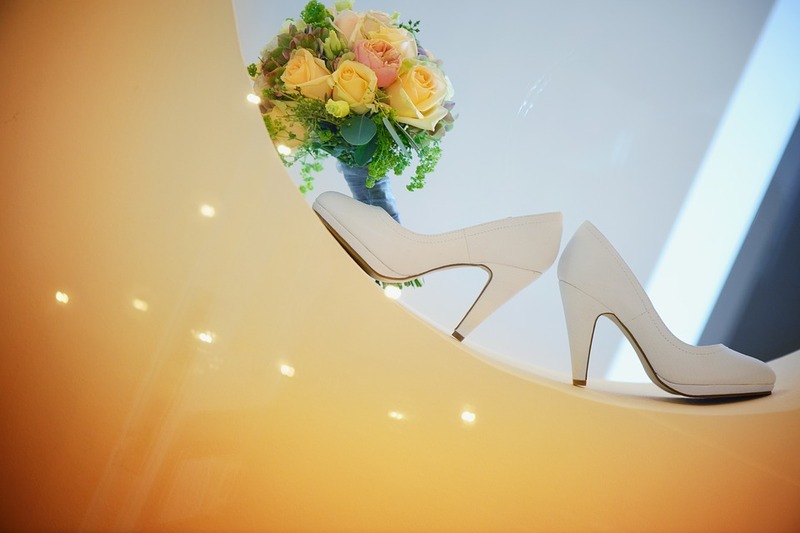 For over 30 years, Elegant Bridal Productions has been helping thousands of people to plan the perfect wedding. The top wedding professionals from New Jersey, New York, and Pennsylvania all showcase their products at Elegant Bridal Productions events as we promise to have everything you need and more to plan the wedding of your dreams. We provide you a place to gather all of the essentials to a storybook wedding such as photographers, videographers, limousines, florists, invitations/favors, travel, china/cookware, and bridal registries and countless others. On this site, you can get the big picture. How much does a ‘typical’ wedding for 150 guests in your geographical region cost? It varies greatly across the country. Where I am, in Fort Worth, TX , it’s approximately $30,000. Basic logic says: If you have a smaller guest count, you can spend more money on the look, feel, sound, and taste of your wedding. The ‘fun stuff’. If you get lost in the Pinterest wedding rabbit hole, you probably have BIG ideas for your wedding. You see a photo of a ballroom ceiling covered in hanging tulips and you are blown away. You must have it. The price tag is rarely on these photos, though, and often, your big ideas just aren’t affordable. You may find yourself deciding between a big guest list and an elaborate wedding – from the décor, to your dress, to the 12-piece jazz band. Let’s assume you have your date, venue, and caterer picked out. Everything is pretty much lining up with your initial wedding budget. 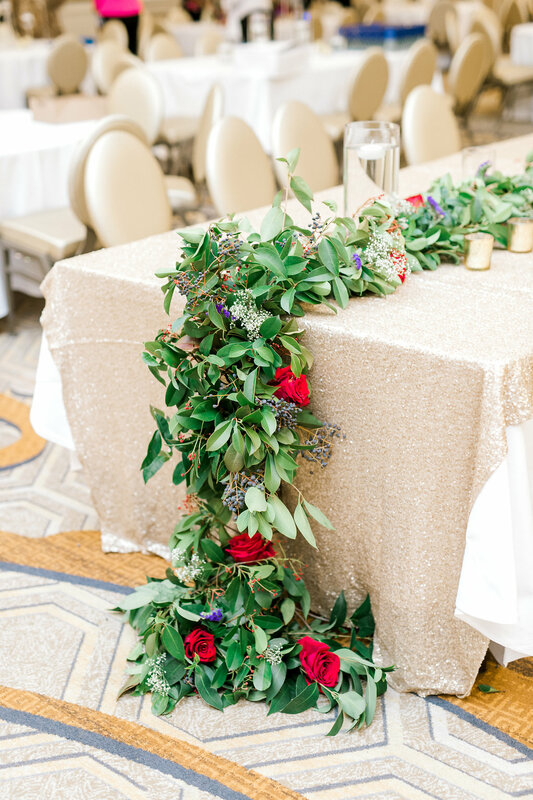 You are about to get to the ‘fun’ part of wedding planning: the pretty stuff…flowers, lighting, linens, dove gray Chiavari chairs that you just can’t live without. This is where the difficult decisions start to come into play. You have spent over half your budget already, so how do you decide exactly where to spend the rest? As a wedding planner, I can say with certainty that there comes a time in every couple’s planning process when they see the budget start to grow past their comfort zone. Some roll with it – ask their parents for more money, maybe, or start to tap into the credit card available balance. Other couples really dig their heels in – they sit down with their budget spreadsheet, they call their planner panicking, they make tough decisions about what stays a part of the plan, and what gets nixed. My first response when I have these conversations is usually, “What does your guest list look like?” The quickest way to cut money from the imploding budget is to cut down your guest count. Maybe you have to draw a thick line through your softball team, your office friends, and your freshman dorm pals that you haven’t seen since…well, freshman year. See where this is going? 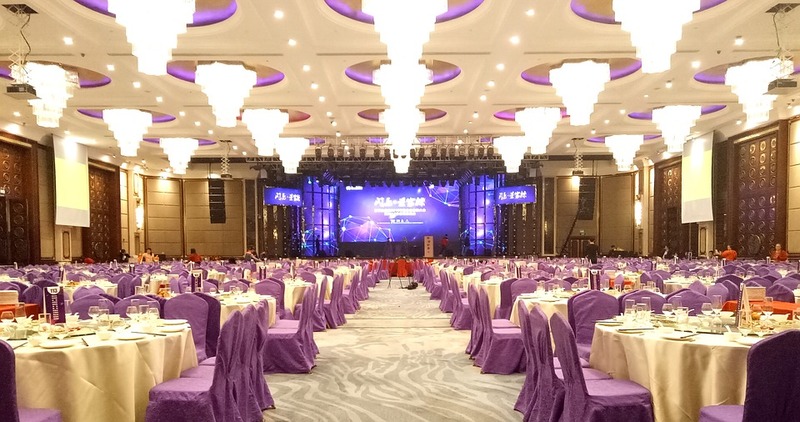 If you want a fancy ballroom wedding at $200 a head and you have 250 people coming – your MINIMUM at this hotel to host your reception will be $50,000. That fee doesn’t include the tax, tips, cake, décor, etc. It does include everything the guests will use to eat and drink (glassware, tableware), which is an upside of hosting your reception at a hotel venue. If 50k is blowing your mind – consider cutting a quarter of the guests right off the top – boom, you’re down to around $37, 600. 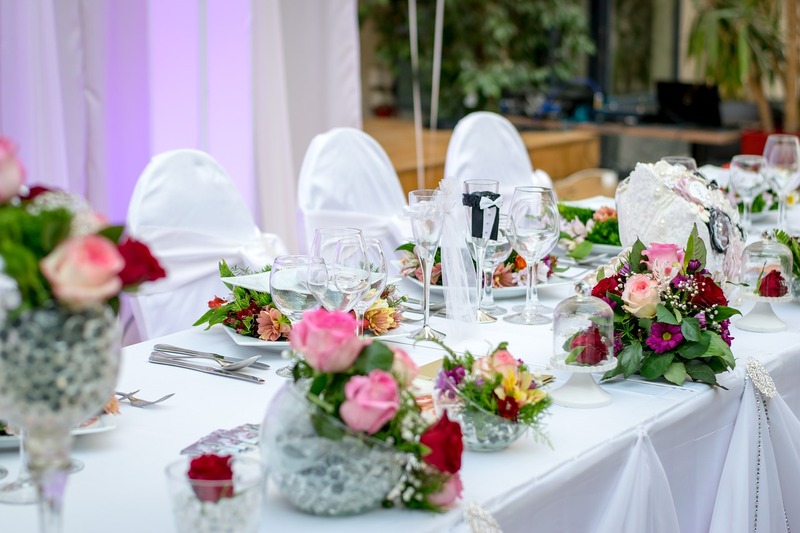 If you have a firm number for your wedding budget, count on half of it going to the venue rental costs, basic rentals like tables and chairs, food, beverage. The other half of your money will be allocated to photographer, videographer, florist, DJ, musicians, dress, cake, etc. Basic logic: if you have a set amount of money and it’s divided among 250 people, you will have less to allocate to each wedding vendor category. If you have the same set amount of money and it’s divided among 80 people, you have more money to spend on the other wedding vendors – ie,“The Fun Stuff”. It can be overwhelming for sure! Champagne dreams, beer budget…you know the saying. 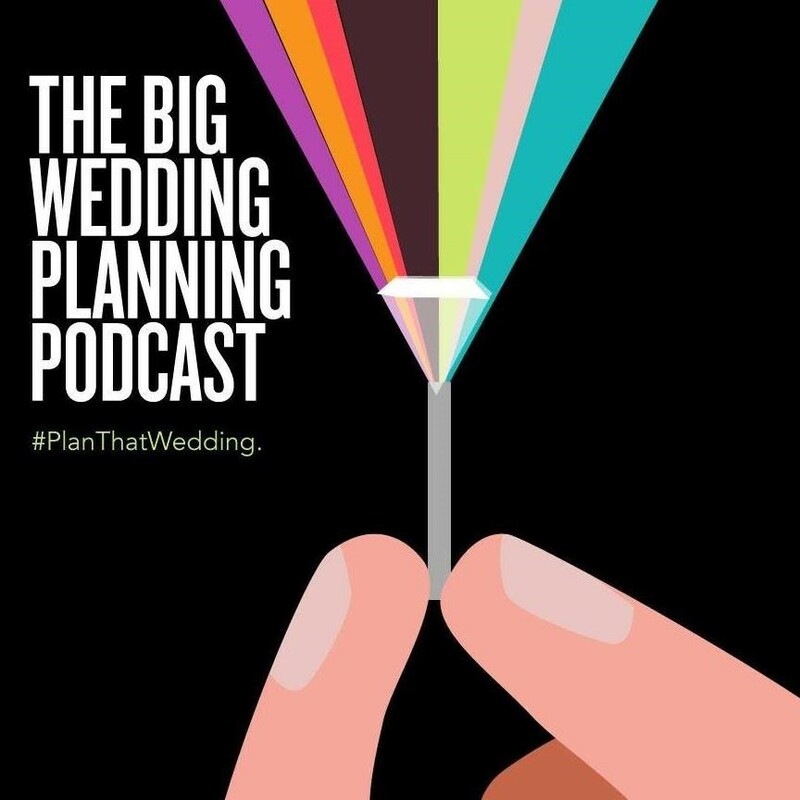 For easy-to-obtain help, we talk about budgets, vendors and all things wedding on The Big Wedding Planning Podcast. It’s like having a wedding planner (or 2!) in your earbuds whenever you want. One of the questions we get from listeners most often is regarding how the wedding budget breaks down. Everyone’s issues are specific, but the overriding factor remains: Weddings are expensive. Good luck out there, yall! Help finance your wedding & honeymoon dreams with a honeymoon registry from Honeyfund. Bio: Chrissy Matthews Event (CME) offers custom planning packages, specializing in Luxury Month Of Wedding Coordination. CME specializes in custom “month of” planning packages. This service is perfect for the clients that have already lined up a venue and vendors and have already begun designing their event CME steps in 4-6 weeks out and takes over, acting as an advocate for the clients and a lead contact for the vendors and venue team. Christy proudly serves as a partner, advocate, and project manager for clients and expertly guides wedding days minute by minute, from start to finish.